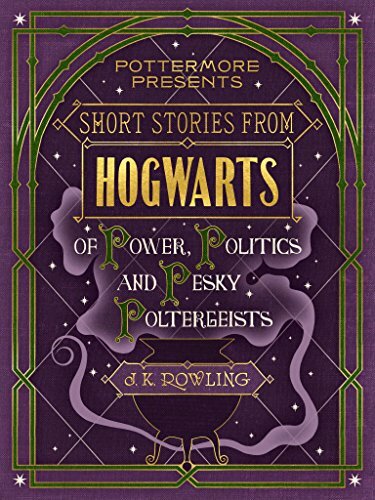 ‘No Muggle Prime Minister has ever set foot in the Ministry of Magic, for reasons most succinctly summed up by ex-Minister Dugald McPhail (term of office 1858-1865): “their puir wee braines couldnae cope wi’ it.”’ – J.K. Rowling Pottermore Presents is a collection of J.K. Rowling’s writing from the Pottermore archives: short reads originally featured on pottermore.com with some exclusive new additions. These eBooks, with writing curated by Pottermore, will take you beyond the Harry Potter stories as J.K. Rowling reveals her inspiration, intricate details of characters’ lives and surprises from the wizarding world.These stories of power, politics and pesky poltergeists give you a glimpse into the darker side of the wizarding world, revealing the ruthless roots of Professor Umbridge, the lowdown on the Ministers for Magic and the history of the wizarding prison Azkaban. You will also delve deeper into Horace Slughorn’s early years as Potions master at Hogwarts - and his acquaintance with one Tom Marvolo Riddle.